It is very seldom that a Philatelic Numismatic Cover, featuring a stamp and a coin is issued, especially one containing a solid Gold coin. 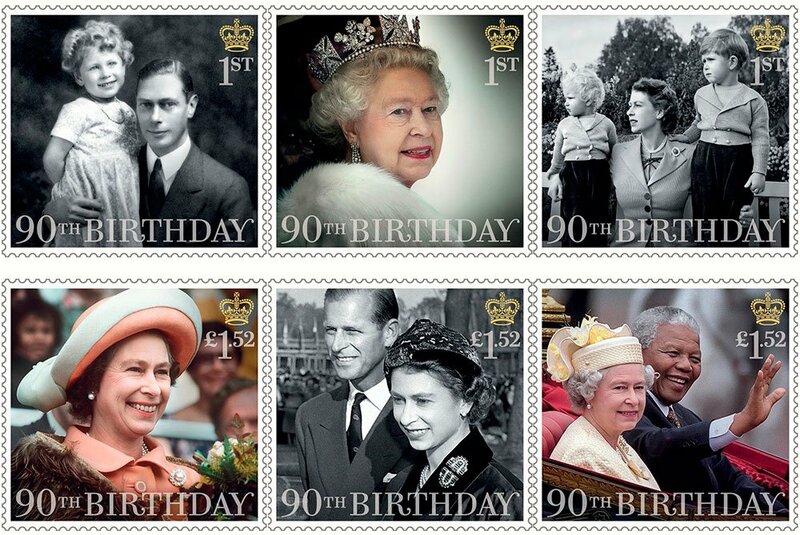 The 90th Birthday of Her Majesty the Queen is certainly one event that deserves such a tribute. 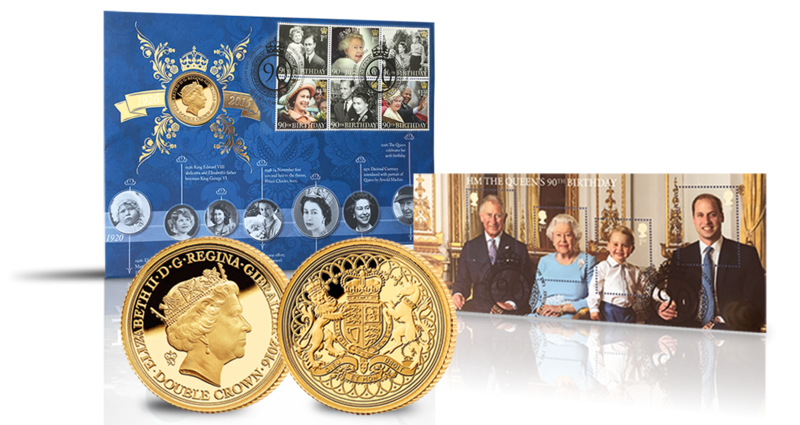 What makes this set truly exceptional is that it marks a defining moment in history - the Queen’s 90th birthday on 21st April 2016, it was on that very day that just 499 gold coins were struck and the stamps officially postmarked. 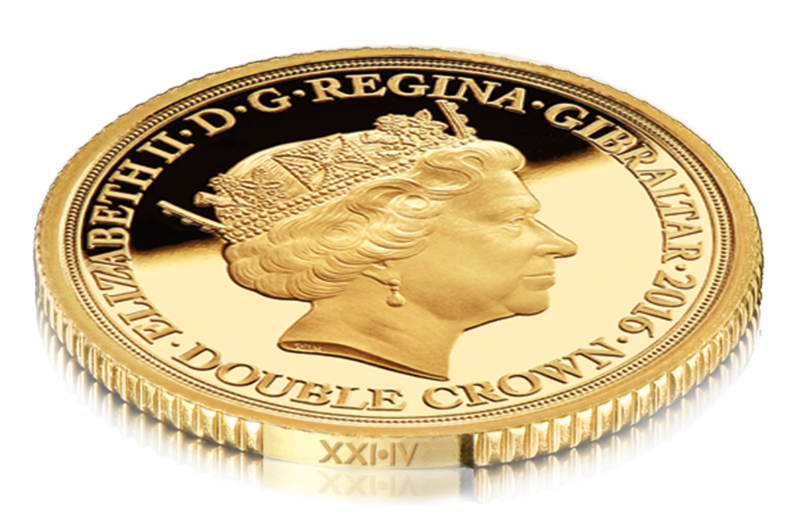 Double Crown Coin struck in solid Gold to proof condition, the highest quality possible. 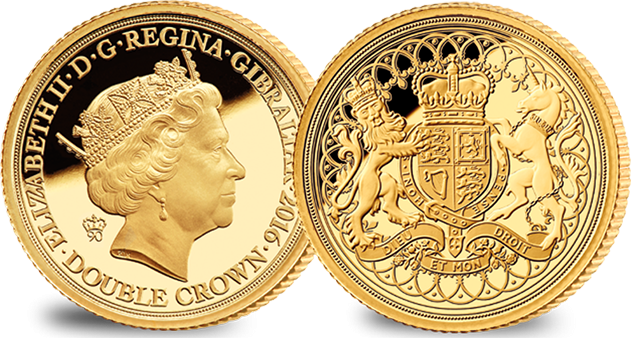 Features the new 90th birthday portrait of Her Majesty The Queen by British and Commonwealth coin designer, Raphael Maklouf. Minted on the exact same day that the Queen reached the milestone age of 90. 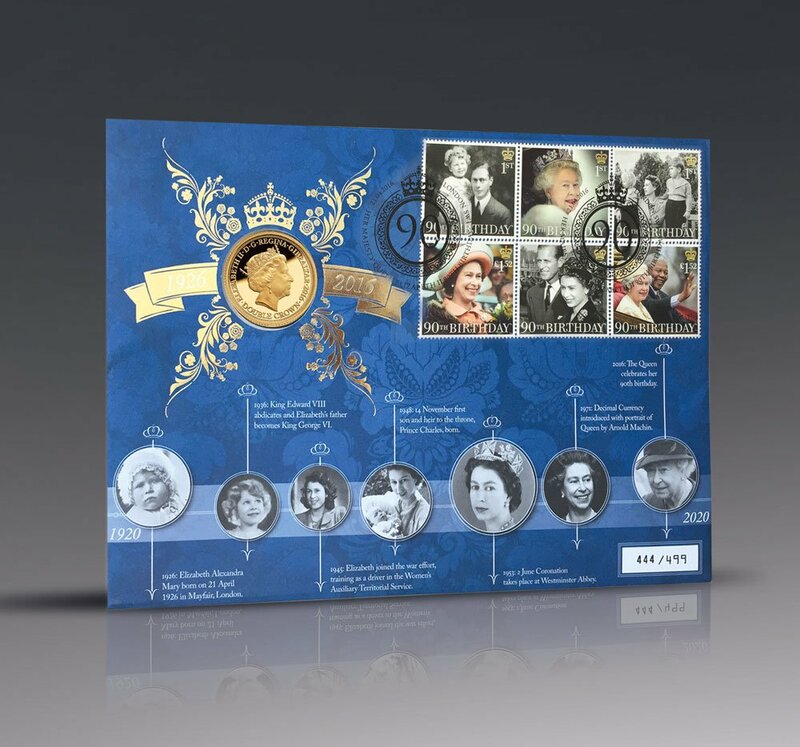 The highly-collectible official Royal Mail Miniature Sheet, with an exclusively commissioned photograph of four generations of the Royal Family. This is the first time ever that four royal generations have been depicted together on a stamp sheet, and the first time that HRH Prince George has appeared on a stamp. Special cancellation mark applied on the Queen’s 90th birthday – April 21st, 2016 from the same postcode as Buckingham Palace. 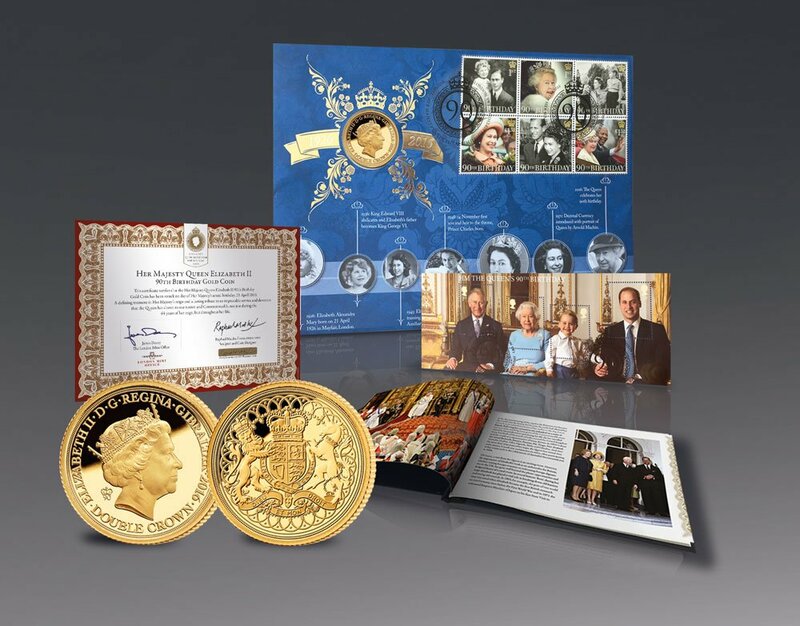 The 90th birthday Gold Coin Cover is presented in a beautiful gold embossed presentation pack and is accompanied by a Certificate of Authenticity and a Certificate of Provenance signed by Raphael Maklouf. The book Nine Decades Gloriously Accomplished, celebrating the life and reign of Her Majesty Queen Elizabeth II, worth £19.95 will be sent with our compliments – FREE.